We recommend tracks by Bruno Mars, Dua Lipa, Rudimental, Sarah Geronimo, Brisom, and more! 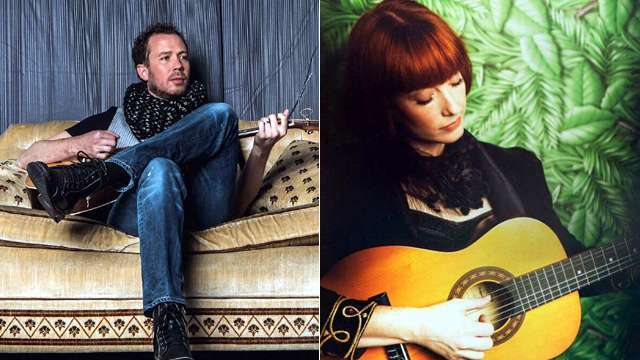 (SPOT.ph) Groove your way into February with our musical picks. 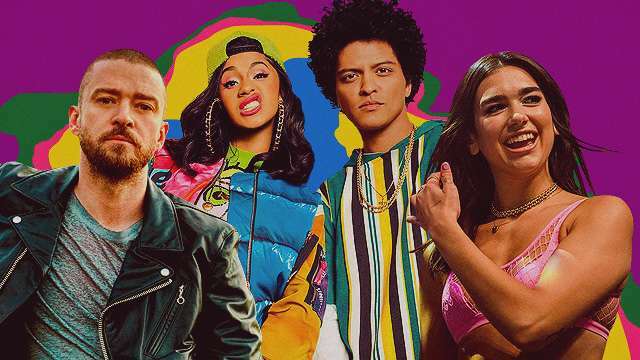 Check out Bruno Mars and Cardi B's jam; Dua Lipa's "New Rules" follow-up; Rudimental, Jess Glynne, Macklemore, and Dan Caplen's soulful track; Taylor Swift, Ed Sheeran, Future's collab; and Justin Timberlake's newest ditty. Don't skip gems by Sarah Geronimo, TheSunManager, Brisom, One Click Straight, and Jay Som. Bruno Mars collaborates with today's hottest rapper, Cardi B, for his latest musical offering. "Finesse" is oozing with '90s goodness musically and visually. Mars' masterful vocals, Cardi's sleek opening verse, and the track's bouncy beats remind us of the earlier days of hip-hop. Watch the video and experience some Fresh Prince of Bel-Air realness, too. Fun fact: Mars emerged as the big winner in the recent Grammy Awards when he took home seven out of the seven awards he was nominated for. Sarah Geronimo recently dropped her much-awaited new single, "Sandata." The multi-talented artist continues to experiment as she unveils this synth-pop track. The electro-heavy love song features heartfelt Filipino lyrics, something Geronimo has been known to use even in her more upbeat songs. Fun fact: Nica del Rosario and Julius De Belen, the team that wrote and produced the hit song "Tala," also wrote "Sandata." Dua Lipa successfully follows up her smash hit "New Rules" with the equally catchy "IDGAF." The track tackles breakups as well, but this time with a more emotional feel to it. The accompanying music video featuring two dancing Lipas is pretty mesmerizing, too. Fun fact: The music video for the song reportedly took 22 hours to shoot. TheSunManager, April Hernandez's indie-folk music project, is out with the visuals for "Other Side." Off her debut full-length album titled Worth, “Other Side” is a delicate acoustic number featuring Hernandez's soothing vocals. It is warm and comforting, raw and somber all at the same time. Fun fact: The "Other Side" music videos is one of three music videos that will be telling a single story, as part of TheSunManager's #WorthTrilogy. English drum and bass group Rudimental enlisted the help of chart-topping singer Jess Glynne, award-winning rapper Macklemore, and emerging soul sensation Dan Caplen for the vocals of "These Days." The stellar lineup gave birth to one unforgettable track all held together by Rudimental's signature experimental mix of sounds. Fun fact: "These Days" is taken from the group's forthcoming and much-anticipated third album. Synthwave pop act Brisom is out with their first single for 2018. "Siglon" (a portmanteau of the words “sigaw” and “talon”) is a glossy synth creation with heavy '80s influence. The danceable beats and overall feel-good sound makes this one a perfect addition to your road-trip playlist. Fun fact: Brisom was formed in 2013. Taylor Swift's "End Game" gets a fun night-on-the-town music video. And if you're into Swift's new sound in her Reputation album, you'll love this catchy tune complete with verses by Future and Sheeran. "End Game" is considered as one of the stronger singles in Swift's latest record. Fun fact: The music video features three cities: Miami, Tokyo, and London. Pop rock act One Click Straight's "She" will take you on a dreamy, love-struck journey across a rich arrangement of synth, pop, and rock sounds. They have been compared to foreign act The 1975, but the guys of One Click Straight are serious about further solidifying their presence in the local music scene. Fun fact: One Click Straight members include frontman and bassist Toffer Marquez, guitar and percussionist Joel Cartera, drummer and songwriter Tim Marquez, and songwriter, guitarist Sam Marquez. Justin Timberlake’s "Supplies" and its cinematic dystopian music video have gotten mixed reviews since its release. The trap-inspired beats and twangy vocals, combined with the overwhelming visuals, were too much for some, but listen and decide for yourself. Fun fact: "Supplies" is the second single from Timberlake's upcoming album, Man of the Woods. Song: "O.K., Meet Me Underwater"
Get lost in Jay Som's endearing brand of bedroom pop. "O.K., Meet Me Underwater" is a sweet and intimate masterpiece featuring entrancing guitars, snappy percussions, and dreamy vocals. Fun fact: Jay Som is the musical project of California-based songwriter Melina Duterte. The American artist is the daughter of Filipino immigrants.